Plan Your Budget. Decide how much you are looking to spend and the extent of the upgrade. Are you replacing just the Phoenix Gold car speakers or making more substantial changes to your sound system? When you have a budget, it makes shopping much easier and prevents you from spending money on unnecessary components. Another thing you want to consider is if you are willing to alter your car. Are you looking for speakers that fit in the existing spots in your car or are you comfortable modifying your vehicle? Drop Ins. There is a large range of speakers that have been designed to “drop in” to the existing cutout spaces in your car. If you plan on doing the installation yourself this is probably the route to go. They are fairly easy to install and can make a big improvement in sound quality. If you are looking to add additional speakers to your system there are usually additional cutouts spread throughout the vehicle. 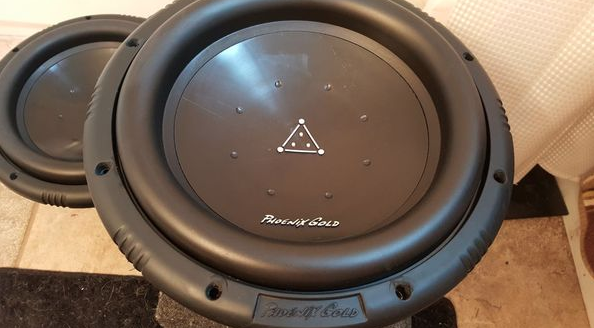 A professional installer should know where to find these cutouts and some retailers will have manufacturer listings of which speakers fit in various cars. Component vs. Coaxial. Replacement speakers can be purchased as coaxial or component. A coaxial speaker means that the tweeter is mounted over the sub-woofer, these are the most common types of speakers and will be the least expensive option when upgrading. If you are looking for a higher end upgrade you should consider component speakers. This simply means that the tweeter and sub-woofer are separate components; which makes it easier to position each component where it enhances the sound quality the most. These systems will usually include crossover electronics but sub-woofers are often an added accessory. Component speakers also require an amplifier for power. Sub-woofers. Sub-woofers can be purchased in a couple of different formats. Raw sub-woofers consist of the driver or speaker cone suspended in a metal frame that is called a spider. The other option when buying a sub-woofer is an enclosed one. This means that it is enclosed in a box. Enclosed sub-woofers are mainly unpowered and require a amplifier. You can also purchase sub-woofers that include a amplifier and crossover equipment which can make installation a lot easier. Sensitivity. This measures the sound that a speaker gets from the power that is sent to it. If you have a factory-installed car stereo, it is likely it is low powered, so you should look for a high sensitivity rating. If you have replaced your system with a high-end, higher-powered system, it is best to consider Phoenix Gold car speakers with a lower sensitivity rating. Looking to Upgrade Your Monmouth County Car Audio System with a Compact & Discreet Subwoofer? The JL Audio Stealthbox subwoofer system delivers a superior level of sub-bass performance while taking up minimal space in your vehicle. JL Audio’s sound engineers begin the Stealthbox design process by studying the acoustics of the target vehicle and evaluating potential Stealthbox locations. Much testing takes place to maximize performance while minimizing the loss of vehicle utility and comfort. 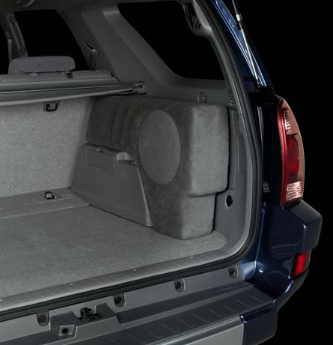 Then they choose from a vast arsenal of acclaimed subwoofer components and bag of loading techniques to produce the best possible subwoofer response for each and every JL Audio Stealthbox vehicle. Prototypes are tested and fine-tuned to ensure the best possible sound quality, output, cosmetics and fit. After a a couple months of extensive research, a JL Audio Stealthbox is ready for production. Interested in Phoenix Gold Subwoofers? Phoenix Gold RX Series – This line of Phoenix Gold subwoofers are the most affordable series. They are usually priced under $200, and are great for any new audio enthusiasts. Phoenix Gold SXt Series – The next step up after the RX series. While these may be a bit more cpstly, they are still quite affordable for many people and produce great bass sound quality. Phoenix Gold SX Series – These are the midrange of Phoenix Gold subwoofers. They’ve got great bass quality and usually run up to around $300 depending on the model you want to go for. 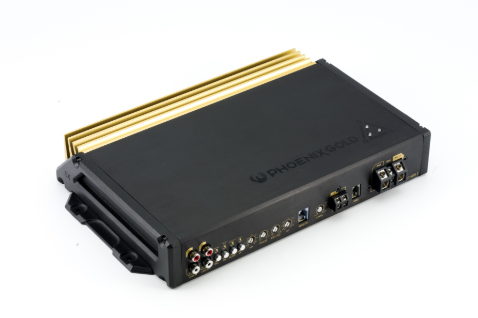 Phoenix Gold TI Series – Now you are getting to the more powerful Phoenix Gold subwoofers. These guys pack quite a bassy punch, and will run you a nice sum more than the previous series’. Fear not, for they are well worth it if you’ve got the cash and want an amazing bass experience! Phoenix Gold Subwoofers Elite Series – The elite series is the top of the line Phoenix Gold subwoofer series. If you want the ultimate bass sound and can spare the costs, this is the bad boy to go with! Upgrade Your Monmouth County Car Audio System Today at AutoWorks! AutoWorks is a automotive shop that also offers & installs Phoenix Gold and JL Audio products as well as other auto electronics to towns in the Monmouth County area. We serve serve towns including Middletown, Red Bank, Oceanport, Rumson, Little Silver, Marlboro, Manalapan, Long Branch, Holmdel, Ocean Township, Lincroft, Shrewsbury, West Long Branch, Fair Haven, and many more. To learn more about our auto electronics and installation services and other services contact us today at 732-671-0225 or visit the website.